Finished: February 2013, by Nikol and Tracy of the MMQG. 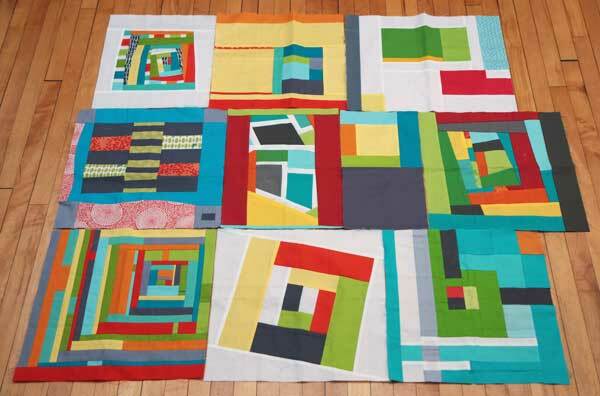 The Minneapolis Modern Quilt Guild signed up to create a charity quilt for the national MQG in 2013, to be ready for QuiltCon. We were given blocks made for the block challenge, I took the blocks (only 9 of them!) and turned them into an entire twin-sized quilt. 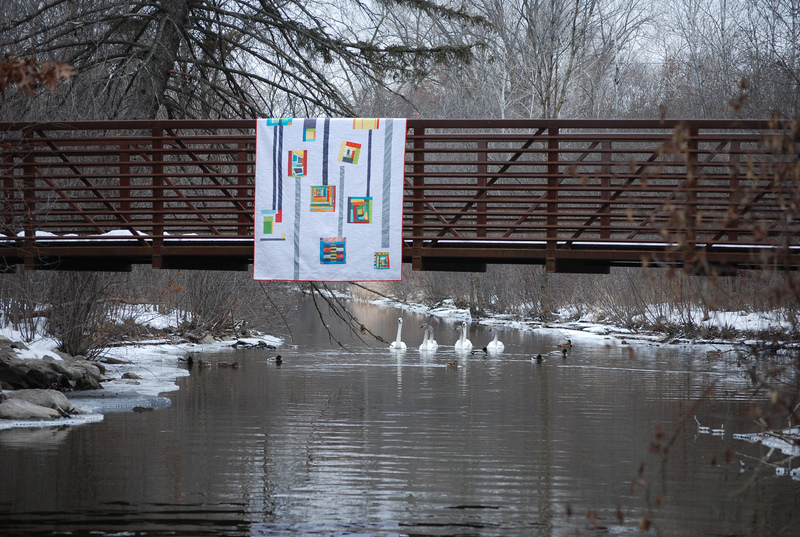 Nikol did the quilting, and Tracy did the binding and fantastic photography!